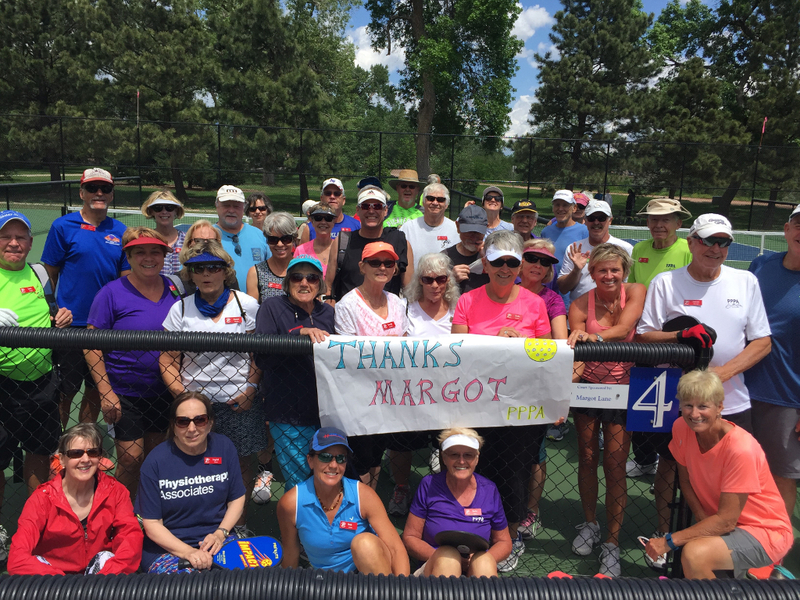 Pikes Peak Pickleball Association - Hot Topics! The 2nd Coronado Hight School Indoor Pickleball Tournament is happening On November 3rd and 4th. Don't forget to vote in the 2018 PPPA Board Elections! Don't forget to vote for your PPPA leadership. 2018 Annual PPPA Membership meeting is rapidly approaching! The annual membership meeting is on he calendar. 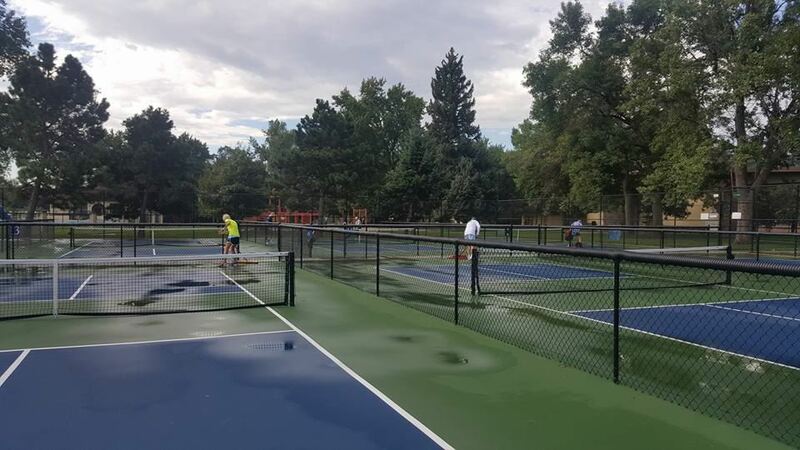 Deidre Greenly captured a couple of pictures showing the dedication of PPPA pickleball players the morning after a heavy rain. 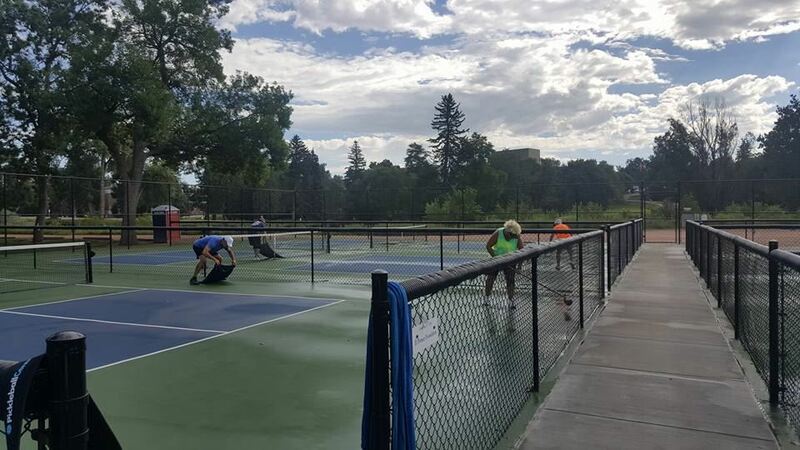 Visit the RMSG tournament page to view results and photos from the 2017 Rocky Mountain State Games held in Colorado Springs, CO at the beautiful Monument Valley Park pickleball venue. The Annual Meeting is nearly upon us. Join your club members for food and fun on June 3, Saturday. See the flyer for all the details. Remember to bring your chair and your nametag.